There's a right time for death. In the sultry heat of a Memphis night, a damaged young woman goes missing. A cop slips over the edge. A powerful man steps over the line. A powder keg of family secrets and despair ignites. And Ol' Man River keeps rollin' along. It's time. He was once her lover, after a tragedy a decade ago united them. Now detective Billy Able is looking for the missing Sophia Dupree and wading through a morass of conflicting agendas and moral decay. To make matters worse, his partner Lou is acting irrational and suffering violent mood swings, taking his aggression out on Billy and almost getting them both killed. Then what first seemed to be a none-too-surprising (nor unheard of) binge weekend away from home starts to look more and more like homicide and Billy is left with an ugly suspicion about the perpetrator of the crime, a hole in his heart from his partner's actions, a laundry list of powerful people playing games with his investigation, and a sister of the victim (his ex-lover) he's drawn to despite himself. It's going to be a rough week. With Sophia's sister Mercy as a subtle influence and a soft beacon, Billy lugs his personal demons around Memphis trying to get his case worked while the world around him blows up and flies apart. He's got a strong suspect and a lot of hate in his gut to fuel him, but the sum of his own sins weigh heavy on him as he plods his way towards answers, praying for closure. A lyrical narrative with nearly poetic descriptions of the complex southern charm of the city of Memphis and the author's comprehensive understanding of the south and its inhabitants bolsters this solid southern police procedural, transforming it into something graceful but gritty. The characters may lean more towards archetypes than unique individuals, but in this case, it's part of the charm and familiarity imbued in the book. Billy Able is a rumpled, harried detective who's driven to find answers, flaunting authority and skirting around the edges of outlaw. He's a solid cop, but he's also a flawed human being, and more interesting and sympathetic because of it. Mercy is a bit more of a puzzle, the ignored but invited daughter returned from the big mean city of Atlanta without any pomp and circumstance. Or notice. She, too, is damaged in her own way, though less flawed with it. Turner does a good job of providing some realistic development between them that felt organic to the situation and to their characters and didn't trip into any romantic suspense cliche. This is no romance novel. The only time I think the development surrounding their relationship evolution flat-lined on me was the very last scene. It seemed to me to be an odd way to end the book and I'm still not sure why it went that way. It was the only time that I felt the slight tinge of romance cliche cheese factor. The antagonist and a couple of the secondary characters have some point-of-view threads running through the book, and some of those are positively chilling, and all inexorably woven into the fabric of the suspenseful story. Turner captured the tone and flavor of the south with artistic deftness and provided a complex and layered plot that offered some surprising twists. 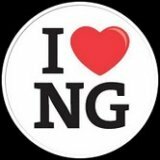 I had a few rough moments with Billy, who was three dimensional and real, but not entirely likable through the whole of the book (most of the characters weren't actually - they were sadistic, narcissistic sociopaths). He was driven, always driven, but sometimes his stubborn propensity to drive in the wrong direction got on my nerves. There were a few aspects of the plot that I wasn't wholly satisfied with, either. A secondary plot thread featuring Lou's character was so heinous that it eclipsed the importance of the primary focus of the investigation, dulling much of my interest in the final 'figure it out' climax scene. I wish that secondary plot thread had been given the same amount of closure as the primary one, because there were far too many unanswered questions around that (like how the hell did the parties involved get involved to start with), and it didn't seem like anyone was asking that question as the story progressed. 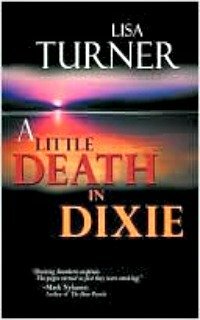 Despite that, A Little Death In Dixie stands tall as a very well written southern police procedural, with enough deft touches and careful progression to impress on any level. Looking back on it after finishing it, I'll always appreciate the small, seemingly insignificant items that added a sense of foreboding or forewarning for the readers. And I'm always going to wonder if "Go Fish" was shortened from "Gone Fishing" for space, or if it was more of a pointed request or command to Billy, or possibly...just a reminder of a child's game. Or all three. Chilling. I'll be keeping my eye out for more Lisa Turner books in the future. This one hooked me and I think it bodes well for future books. I very much enjoyed it.